A new study conducted by researchers from the University of South Australia could have consumers running out to buy nuts. According to the study, adults who eat nuts regularly -- 10 grams per day -- can improve their cognitive functioning in old age. 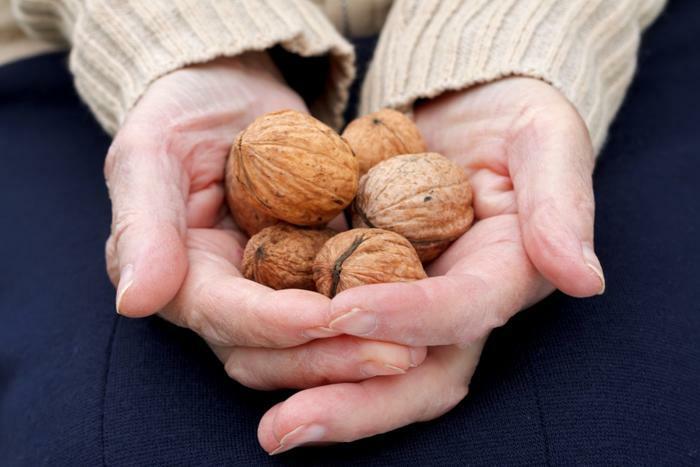 To see how eating a steady intake of nuts affected cognition in older adults, the researchers evaluated over 4,800 adults aged 55 and older who were participating in the China National Health Survey between 1991 and 2006. At the start of the study, 17 percent of the participants reported consuming nuts regularly. Over the course of the study, the researchers regularly measured the participants’ food intake and cognitive functioning. The researchers found that eating 10 grams of nuts per day positively affected the participants’ cognitive functioning, including their memory, thinking, and reasoning skills. “By eating more than 10 grams (or two teaspoons) of nuts per day, older people could improve their cognitive function by up to 60 percent -- compared to those not eating nuts -- effectively warding off what would normally be experienced as a natural two-year cognitive decline,” said Dr. Li. As the population ages, the researchers are concerned about what that means for what kind of care older people will need, and they cite the World Health Organization’s finding that by next year, people over 60 will outnumber those under five years old. However, these findings are a bright spot, in that they offer some way for older people to stay sharp and push off any decline in mental capabilities.